THE GLOSS Magazine’s Look The Business 2016 in association with Vodafone was our biggest, best event yet. Were you there? 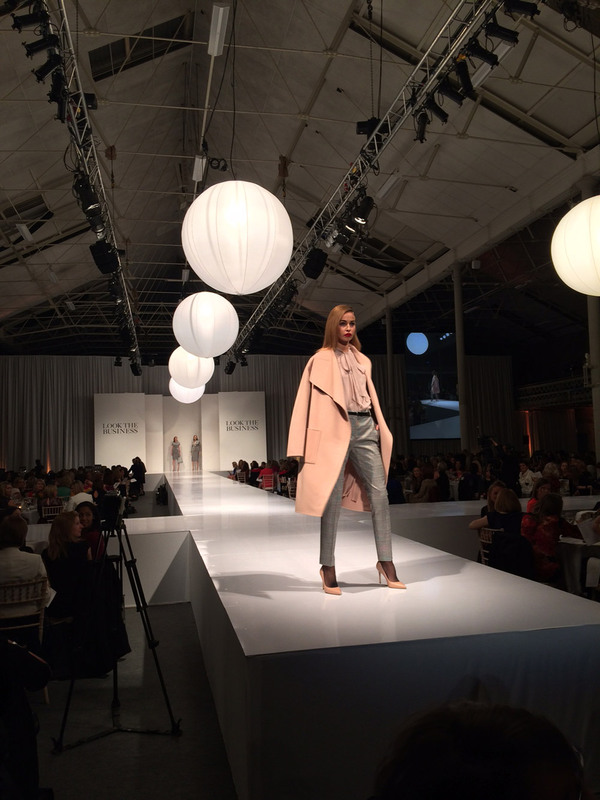 At THE GLOSS Magazine’s Look The Business event in association with Vodafone, over one thousand businesswomen enjoyed an evening of networking and fashion at the Main Hall of the RDS. The evening also marked the tenth anniversary of THE GLOSS Magazine, founded in 2006. After a reception with delicious TanquerayTen gin & tonics, during which women from the worlds of finance, law, media, marketing and recruitment relaxed after a busy day, Aoibhinn Ní Shúilleabháin welcomed guests on behalf of Jane McDonnell, Publisher and Sarah McDonnell, Editor of The Gloss. A fun and inspiring speech by witty columnist Lucy Kellaway of The Financial Times was followed by supper before Anne O’Leary, CEO of Vodafone, took to the stage to explain how technology would soon influence fashion in ways we never dreamed of. A stunning fashion show on the longest catwalk ever seen in Ireland. Exquisitely styled by Catherine Condell, with make-up by Dearbhla Keenan and hair by Roy Leigh – both of Brown Sugar – the show featured working wardrobe pieces and gorgeous desk to dinner looks by Samui, Selected Femme, LK Bennett, Kildare Village, M&S and Louise Kennedy. In the legendary Designer Handbag Draw, there were fabulous prizes for every table in the room including a smart bracelet from Tiffany & Co and a Kennedy bag by Louise Kennedy (presented by Louise herself) and many more… For every gorgeous detail of LTB16, see the November issue of THE GLOSS, out November 3 with The Irish Times.